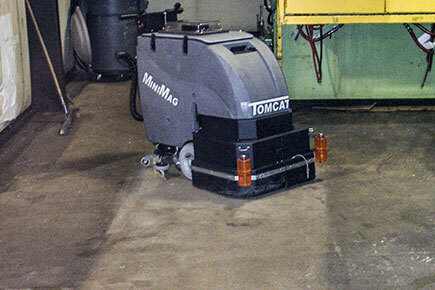 Tomcat's MINIMAG Floor Scrubber Dryer is known for its simple design and durable construction, offering unmatched value for the customer. 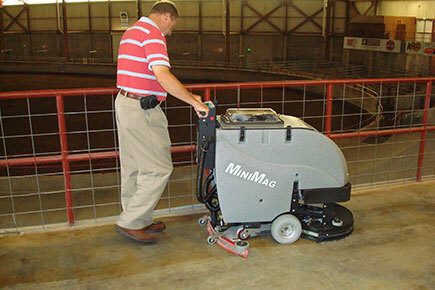 The MINIMAG Floor Scrubber Dryer comes equipped with either a Brush-Assist drive which allows for operator ease with little-to-no pushing, or a Traction drive which includes a powerful all-gear transaxle for climbing ramps and max operator ease. 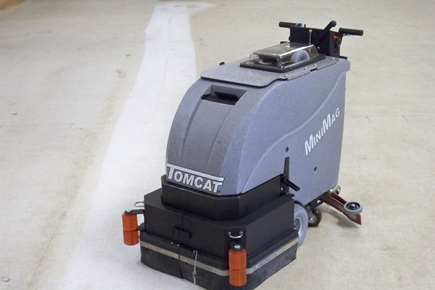 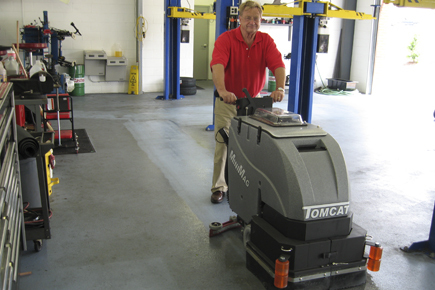 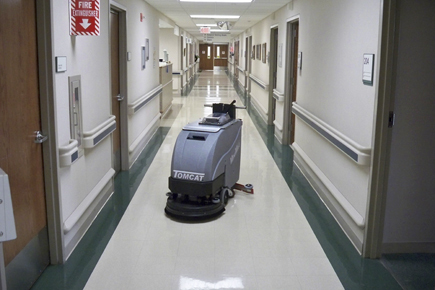 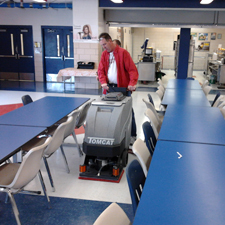 While keeping with the constant durability that Tomcat machines have to offer, your operators will find the MINIMAG Floor Scrubber Dryer easy to maneuver into tight areas, and simple to service. 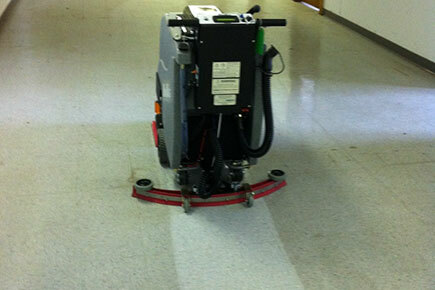 The deck is protected by steel guards and large polyurethane rollers to keep the unit from marking walls. 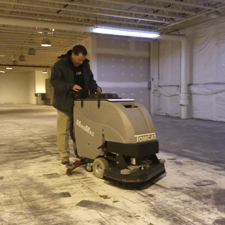 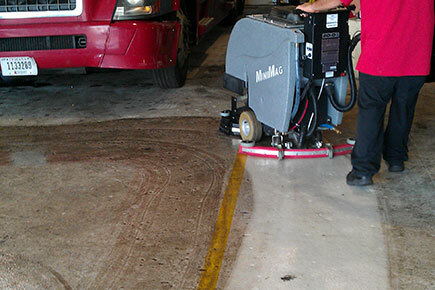 Disk Brush Size: 17", 20", 23", (2) 13", & (2) 14"
Cleaning Width: 17", 20", 23", 26", and 28"
As you can see from these images, the MINIMAG Floor Scrubber Dryer is great no matter where it may be used: from cleaning up the dirtiest of floors in a School Lunchroom, to a medium sized business that just needs some cleaning time saved, to a Corporate Headquaters. 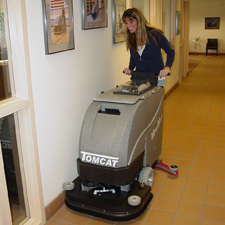 These powerful machines know just how to get the job done!